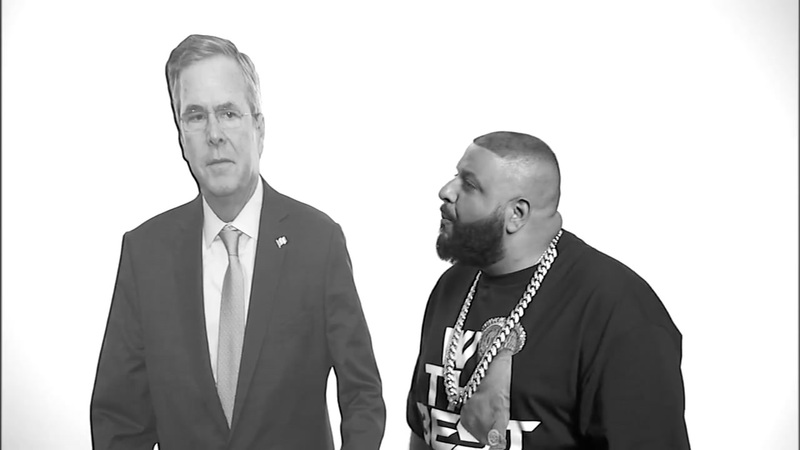 LOS ANGELES, CA (KTRK) -- If Jeb Bush is looking for a new source of inspiration in his life, DJ Khaled has the answer. The "We The Best" rapper and music producer, appeared on Jimmy Kimmel Live Tuesday night to deliver a motivational message to Republican presidential candidate, Jeb Bush. Khaled has motivated numerous people with his "major keys to success" videos on Snapchat.